I often go back to the memories of our November East-Prussian escapade. The majority of the Warmia-Mazury Voivodship is today still almost Terra Incognita. Tourists rather go to Masuria, and the travel agencies (except for absolutely a few, which understand the place) still do not see anything interesting in the off-roads of the former East Prussia. In schools, teachers continue to avoid the subject as sensitive, moreover, they know little about it. Warmia is being discussed in isolation from reality. And thus it still is not very clear what is this phenomenon called: Warmia (Ermland). Meanwhile, near the border between Warmia with Natangia, on the road from Pieniężno (Mehlsack) to Górowo Iławeckie (Landsberg) there is a small village Pluty (Plauten). I do not know whether it was important for the Great History, but it is certainly important for those who appreciate the beautiful views. 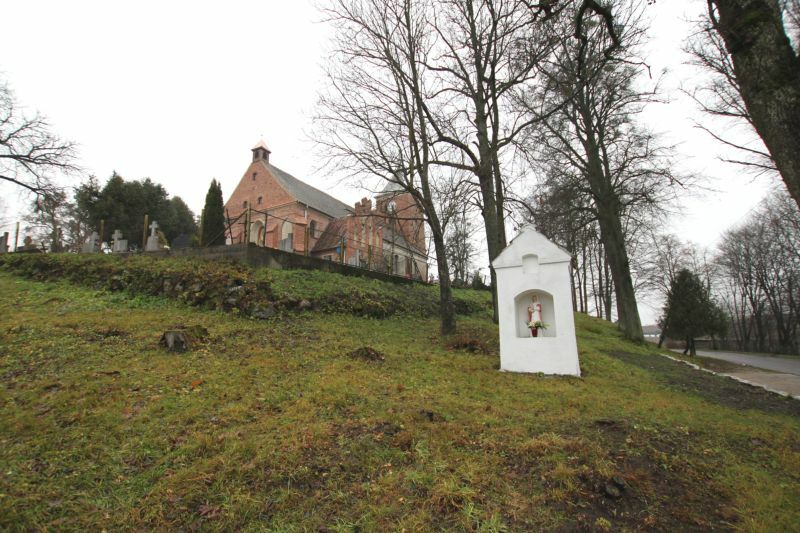 The village was founded near the old Prussian settlement of Pelten. It is known that around the year 1325 the Warmia chapter in the person of the provost Jordan built a castle here. Jordan managed the chapter, in place of Bishop Eberhard of Neisse who was seriously ill at that time. Soon he himself was elected Bishop of Warmia. 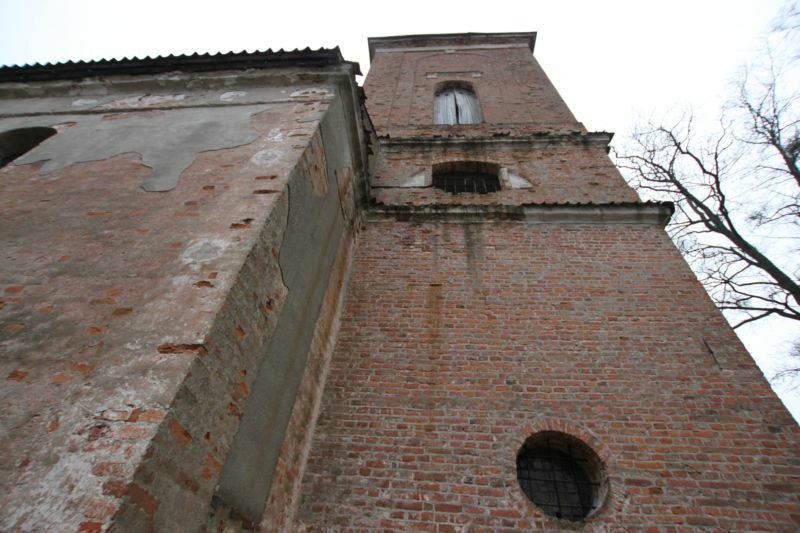 Parish in Pluty was established in the first half of 14th century. In 1326 the parish endowment appeared. In 1410 during the Great War the village was destroyed. We know that more than a century later (in 1583) a parish school operated in the village. Parish Church of St. Lawrence dates from the mid-fourteenth century. It was several times adapted, , first in the sixteenth century and then in 1801, it was extended in a westerly direction, and the tower was added. Barely visible today date “1521” in one of the top blind arches of the sacristy can be a certificate of completion of a phase of the temple’s construction. Church was consecrated by Bishop Martin Kromer in 1581. The church was built on a rectangular plan, and it was built of fieldstone (in the basement) and brick (the walls). It was plastered recently (except the tower). It has two extensions: the north is the vestry and the south is the porch.The interior is baroque. And I have to trust the descriptions here, for when we got there during our peregrinations – the church was closed. It was raining cats and dogs, and the wind was quite bitter. Therefore neither of us at all had in mind to look for the Reverend, to ask him to open the temple for us. From the descriptions I just know that the main altar dates from 1694, and that it was made ​​in Königsberg. The maker of the altar was probably Isaac Riga, or his workshop. Side altars are from the same (more or less) period. In one of the side altars there is a painting o “The Last Supper” by Peter Kolberg (a prominent East Prussian artist – 1702), the pulpit dates from 1732, the choir was made in the 19th century and organ – in the early twentieth century The only medieval part of equipment are the granite font and stoup.In the Tower there is an original clock mechanism as well as two bells. And beneath the church floor there is a crypt with coffins. 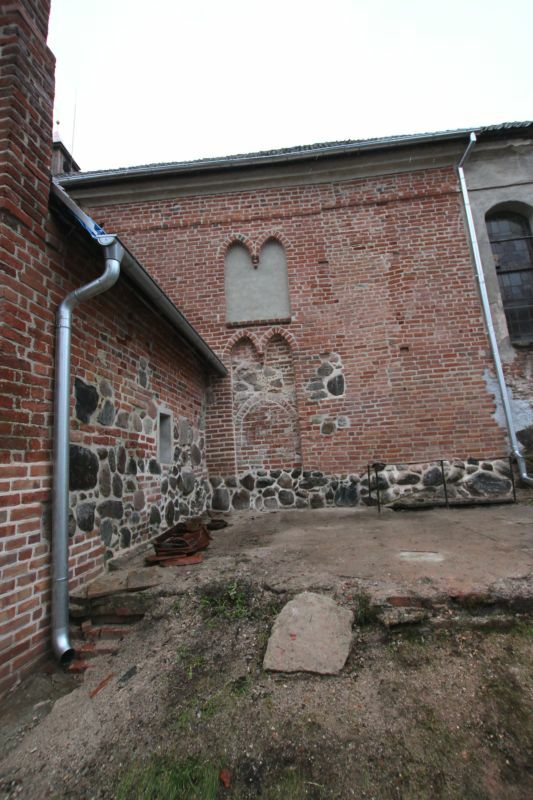 Last year a fair amount of money was acquired from the EU for renovation of the cultural heritage of the village. 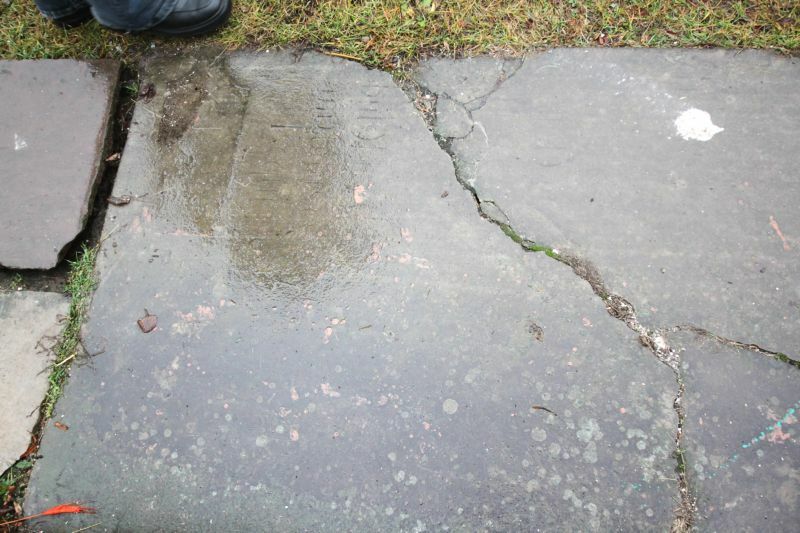 And the result of the works could be seen in some places around the church… Hopefully the funds will appear sufficient, and the enthusiasm of the locals will not fade away. it can be seen that some work has been done.. It is a shame that the tombstone serves as a step to the church !!!!! It is a shame and a scandal! As it often happens during our short holidays – this time also we were provided with not very accurate map. So we had to move a bit according to our senses, and according to our notes. Reconciled with the fact that we will not get to the famous Juditten, we decided to visit a familiar-sounding … Judyty. Judyty as a property belonged to the von Kunheim family since the 16th century. Among the more and less known of that name – a man called Georg appears to us in the 16th century (he was son of Georg and Margaretha von Truchsess Wetzhausen from Łankiejmy). He was born in Wehlau (known for the treaties). In later life he found himself among the courtiers of Duke Albert of Königsberg. He was among his favorite courtiers, a trusted and valuable one. So much so, that when he fell ill, the Duke brought him a famous doctor – “particularly dear” doctor Nicholas Copernicus from Frombork. Georg was the son in law of Dr. Martin Luther. How he won the hand of his youngest daughter, I do not know (yet), but I sense the influence of Katharina von Bora. 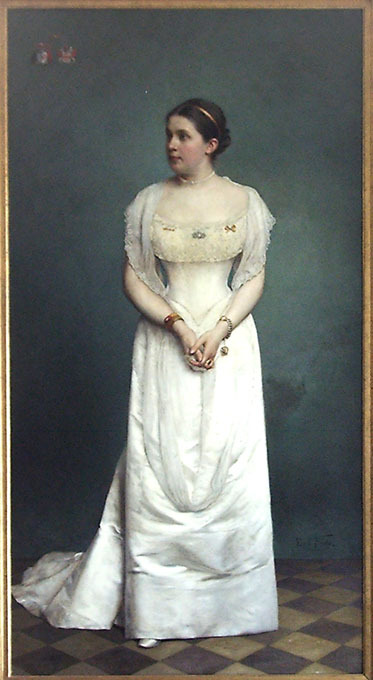 When Margaretha died, Georg married Dorothea von der Oelsnitz. The goods belonging to von Kunheim – also included Judyty. The palace remained in the hands of the family until World War II. It was here that in 1928 the later famous Eberhard von Kunheim was born. Today we would say of him that he had a difficult childhood: his father was killed in a car accident in 1935. A quiet gossip spread that it might have been a political accident. As he was not among the supporters of the new politics. Mother – according to all encyclopedias – pershed in one of the Soviet camps after the war. Often it can be read that the fact that his father was against the Nazis – might have helped Eberhard in becoming a student in post-war Germany. After some experience after his studies he joined the BMW. For more than 20 years he was a director and president, and later chaired the board of the company. The times of his “reign” there were called the Kuenheim Era. In Judyty there also was one of the oldest Trakehner horse breeding stables. And these words apply to all the old estates in East Prussia. One can only remember family stories, about how once it all looked. By the way – one can “meet” the Kunheim family here and there, going around the former East Prussia … For example in Ketrzyn (Rastembork) in the castle there is a portrait of John Ernest von Kunheim. Like most of the family – he too rested after his death in the family tomb in Sępopol. And one more thing – only after I stared at the picture of palace – gloomy and dark – I noticed that the famous lions are still there!!!!! Both were purchased in 1889 and finally returned to the place few years ago. After the new owner of the palace a few years ago gave them to the studs in Liski the locals protested so much, that the lions were brought back where they belong. 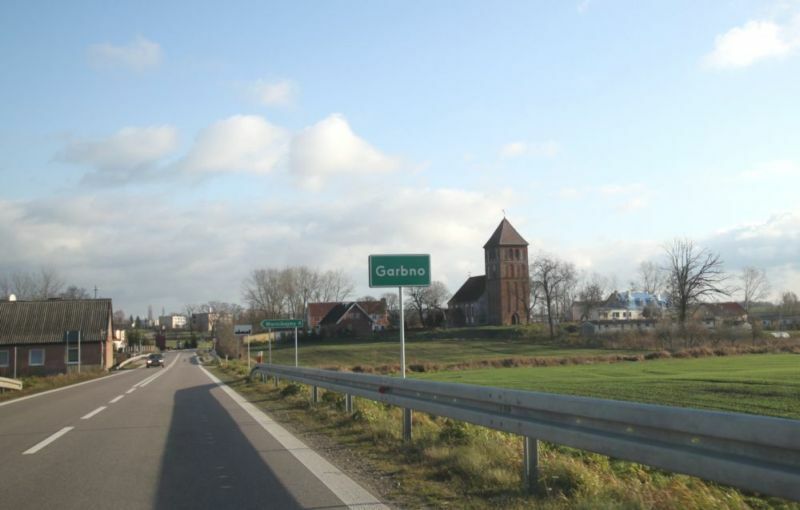 A small town (only about 2500 dwellers) in the north east part of Poland. It was founded in the 13th century, but received civic rights in 1310. It belonged to the bishops of Warmia (Ermland) but then was given to the cathedral charter. It was called Civitas Warmiensis (Warmian Town). And so it was – as Frombork had been Warmia’s capital. 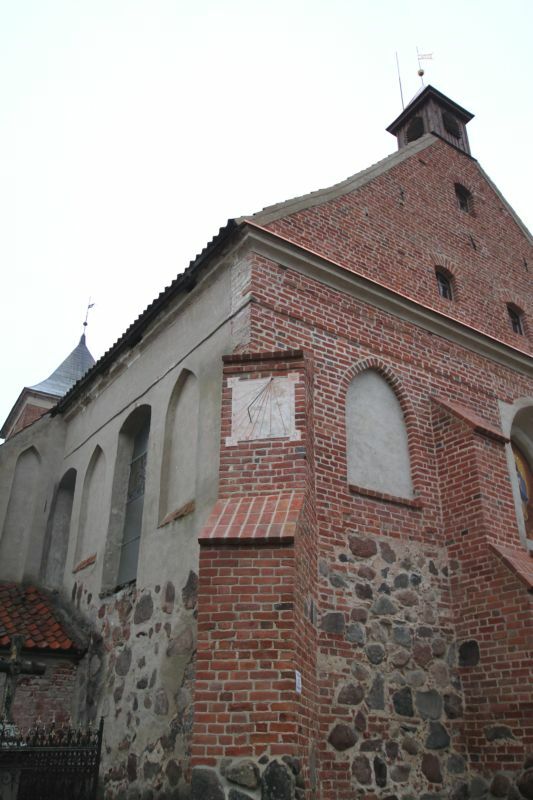 Frombork is the town – where Nicolaus Copernicus spent his adult life. From 1510 till his death in May 1543 he lived here and worked to the glory of God and the Warmian bishops. He was an administrator of the Warmian land, and thus settled many villages – of which many exist till today. He also worked on the monetary reform (known today as Copernicus-Gresham law). When Thomas Gresham was born in 1519 – Nicolaus had the outline of his reform ready. He also reformed the bread recipe, stating how much should there be white how much dark flour, and how big should the loaves be… He also was a doctor, and as such he served his uncle in Lidzbark Warmiński (Heilsberg, in Old Prussian Lēcbargs). In Frombork Nicolaus wrote his “De Revolutionibus”, a book which changed the outline of the understanding of the World. Here in Frombork cathedral Nicolaus Copernicus was finally buried. And few years ago a sensation spread around the scientific world (pity that only around the scientific one) – the grave of Copernicus was found. Now we know how he looked like and thanks to the Central Forensic Laboratory we can look into his eyes (the linked article is unfortunately in Polish only). Frombork was taken form Poland when the country lost independence in the 18th century. After years of a sleepy existence in the East Prussia – it returned to Poland after the tragic years of the II World War. Very much destroyed in the course of fights between the Soviet and German armies – the town was rebuilt. Unfortunately not exactly as it was before. It lost most of its charming houses. It lost also its continuation – historical continuation. New people came here after the war. New times came too. Luckily the Cathedral Hill is still above the town, guarding the place as before through the centuries. It is worth climbing up the Bell Tower to see the splendid view over the Wisła Lagoon, as well as to see and maybe understand the way of work of the Foucault Pendulum (for me it is enough to know that it shows that the earth is turning). It is easy to stay here – as there are few quite decent places to sleep, and few places to eat. There is a good bus connection with Elbląg, but unfortunately no train one anymore. At the world’s end … the title of this note is from the letter of Copernicus to his friend – when he settled here… It seems that the town is still at the world’s end. Sleepy and not advertised well. I dare say – it is not advertised at all! As a guide – I hope to change it. Here are some photos of the simple beauty of this place on earth.